Hard Disk Sentinel is HDD diagnostics, analysis and error reporting software that support multi OS. HDD Sentinel is supported to both SSD and HDD where it will find errors, fix them and increase life of hard drive to maximum days. The main goal is to find bad sector based errors and fix them with running disk surface test. Hard Disk Sentinel is simple, fast and intelligent software that should save your data, money as well as time with solving any serious health issues. It shows complete list of errors, bugs, reports and similar issues after performing surface test. It looks like a realtime monitoring utility that will show red or green symbol alongwith Hard Disk Drives inside My Computer. The green mark or symbol shows that the drive health is good and the red alert will justify something going wrong with current drive. However, the main screen will perform quick test and it will display health, temperature, logs, alerts, S.M.A.R.T and detailed information of hard drive. Bad sectors are always enemy of your data, privacy as well as HDD. 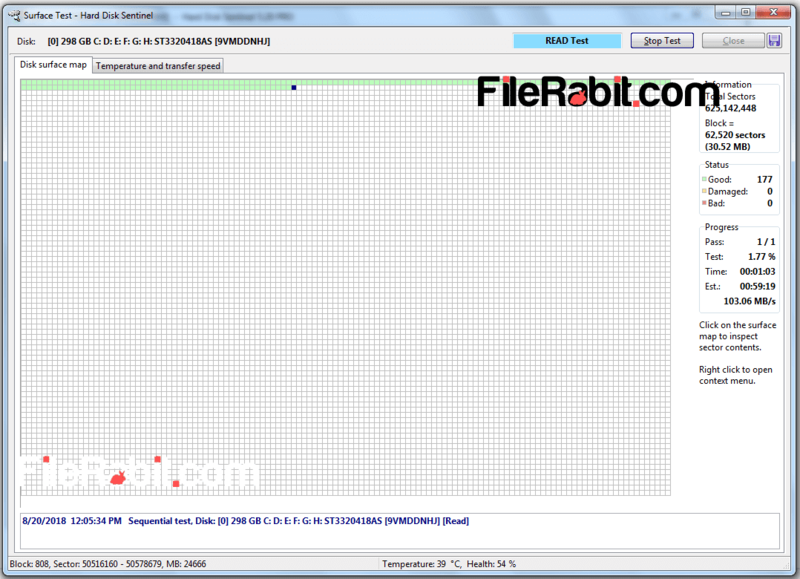 Hard Disk Sentinel will count and display a number of bad sectors found in your hard drive. It will monitor sensitive problems and inform the user with showing red level alerts. Many of import/export computer parts were using HD Sentinel because they check each hard’s health before selling to customers. Furthermore, it will breifly display total number of partitions with totals space, available free space and system type (FAT/FAT32/NTFS). If you have multiple hard drives installed in your system then HD sentinel will show reports individually. The surface test map will show 3 color boxes with Good, Damage and Bad blocks. It will take long time depending on the size of disk. The progress is also depends on transfer speed of your HDD or SSD. 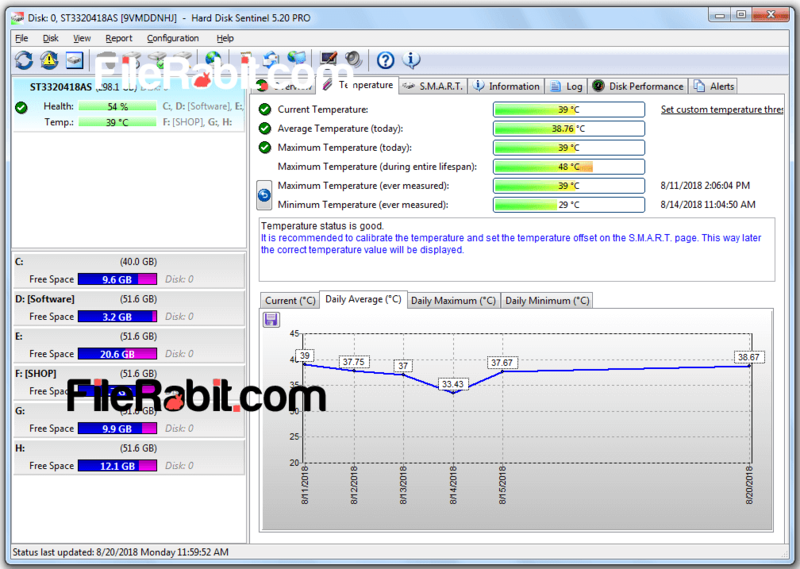 SSD are faster comparing to HDD because the manufacturers are using SATA technology to speed up transfer rate.